Sandals invites you to island hop where the party doesn’t stop! Sun-seekers from the north of England can now discover the Dutch Caribbean island of Aruba right from their doorstep, with the introduction of convenient new weekly direct flights from Manchester Airport next month. 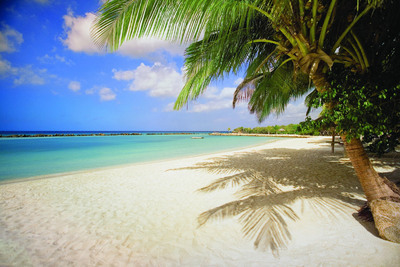 Thomson Airways will operate the new weekly service to Aruba from Manchester on Fridays from 7 May to 23 October 2010, which replaces last year’s fortnightly service further to increasing consumer demand. The flights depart Manchester at 1030, arriving at Aruba at 1710; return flights leave the island at 1705, getting back to Manchester at 0715 the following morning. The flights from Manchester are in addition to the weekly direct London Gatwick service, which was introduced last year and continues in 2010 too, departing on Saturdays from 1 May to 23 October 2010. Both the London Gatwick and Manchester flights are available for booking on thomson.co.uk and firstchoice.co.uk, as well as through Thomson Faraway Shores, Thomson Platinum Collection, Thomson Weddings, Thomson Chic & Unique, Thomson A La Carte and First Choice Tropical, First Choice Premier and First Choice Wedding brochures. “Aruba is one of the fastest growing destinations in the Caribbean for the UK market – and it is now more accessible than ever! The new weekly departures from Manchester is great news, as they allow travellers from the northern part of the country more flexibility in their holiday choice”. Sample package: Thomson offers seven night holidays in Aruba, staying at the Renaissance Aruba Resort & Casino from £975 per person, based on two people sharing. Departure on 11 June 2010. Price includes accommodation on a B&B basis, direct flights from Manchester and transfers. For further information and reservations visit thomson.co.uk. For more information on visiting Aruba go to aruba.com.